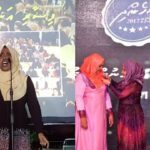 Female candidates won majorities on island councils for the first time in the Maldives’ third municipal elections on May 6. 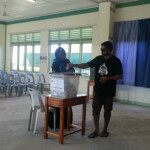 Voters on the islands of Thakandhoo and Kelaa in Haa Alif atoll, as well as Kurendhoo in Lhaviyani atoll and Thoddoo in Alif Alif atoll, made history by electing more women than men to their three-member island councils. In the northernmost atoll, Aminath Ismail from the main opposition Maldivian Democratic Party and Aishath Mizna from the ruling Progressive Party of Maldives were elected to the Kelaa island council. 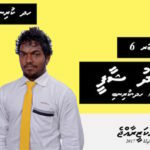 MDP candidates Aishath Asifa and Fathmath Fazeeha won seats on the Thakandhoo island council. 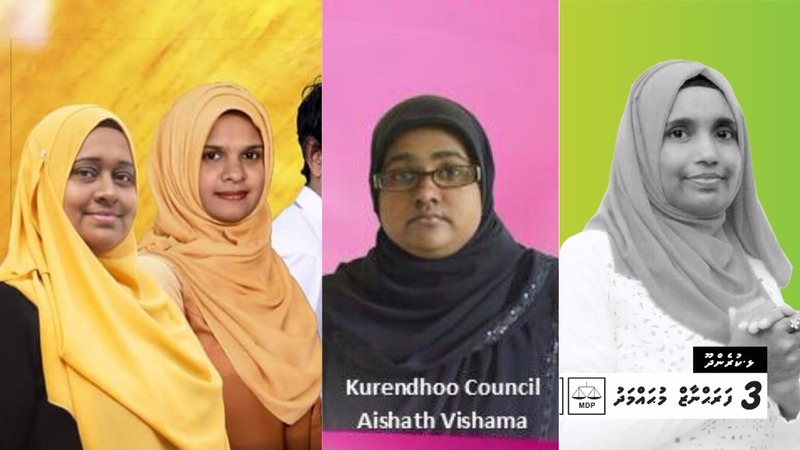 Farahanaz Mohamed from the MDP and Aishath Vishama from the PPM retained their seats on the Kurendhoo island council whilst MDP candidates Khadheeja Niusha and Aishath Adam won seats on the Thoddoo council. Only two female candidates were elected in the Maldives’ first local council elections in February 2011, but the figure increased to 62 in the January 2014 local council elections. Despite the historic female majorities, the representation of women in decision-making posts remains low in the Maldives. Women account for only three out of 14 ministers, five out of 85 lawmakers, and six out of more than 180 judges. Shadhiya Ibrahim from the women’s rights group Uthema suggested that the perception that women’s primary role is in the domestic sphere is the main challenge to increasing participation in politics. But the successful female candidates could become symbols of change, she said. “Now these councils can be the agent of change to challenge the stereotype,” she said. Aneesa Ahmed, the founder of women’s rights group Hope for Women, also told the Maldives Independent that the election results were encouraging for women’s rights. 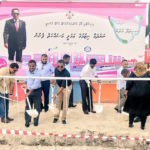 However, she criticised the PPM for failing to field female candidates. “Just this year in February, the Gender Equality Act was proposed and passed by the government, so it saddens me that the ruling party, which fielded the most candidates did not field that many female candidates,” she said. Gender Minister Aminath Zenysha and PPM MP Asma Rasheed were not responding to calls at the time of publication. Fathmath Nelfa, a project coordinator at local human rights NGO Maldivian Democracy Network, told the Maldives Independent that the council elections results will encourage more women to seek elected office. The MDN spoke to female candidates in March and found that cultural bias and the lack of other posts at the same level acted as barriers. “Female candidates told us that they do not want to contest because when they complete their term, they do not have positions with the same level of national service within the islands to go to,” she explained. In their observations of the local council elections, the local chapter of Transparency International noted that the number of female candidates was “disproportionately low” in the 2017 elections. “We also note the lack of efforts by the state and political parties to increase female political participation in elected leadership positions,” the NGO said. A nationwide survey conducted by Transparency Maldives in 2015 found that a majority of Maldivians believe that men make better leaders than women and only 39 percent agreed that a woman could serve as president. But in a sign of changing attitudes, the 2015 survey showed that 45 percent of respondents disagreed with the statement “men make better leaders than women” compared to 38 percent in 2013. The findings also indicated widespread support for women assuming leadership roles with the exception of the presidency. 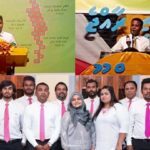 “Although very few Maldivian women have been elected, Maldivians largely say that if presented with an election between two candidates of opposite genders, but equal credentials, that they would see no difference between the two or would be willing to vote for the woman,” the survey report stated.